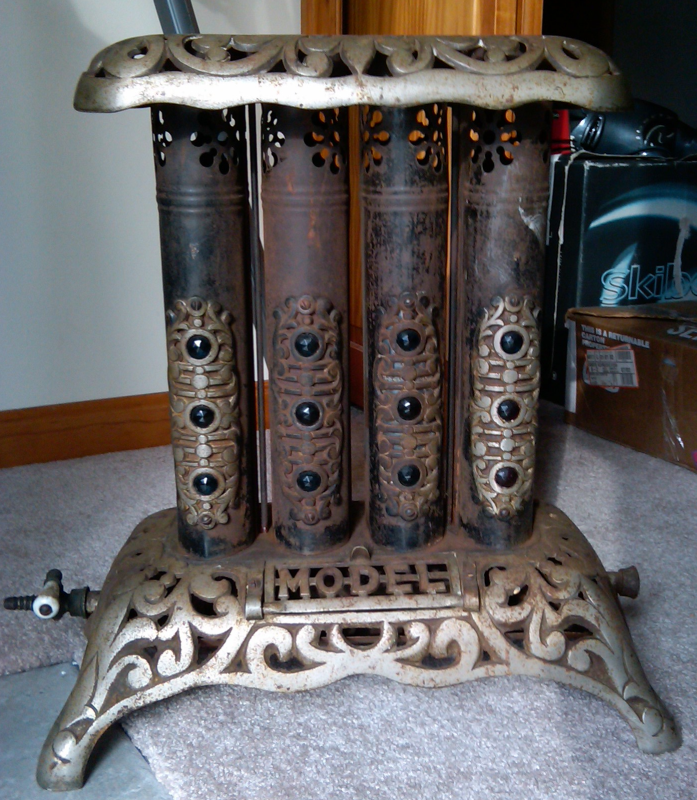 Thanks to visitor Mario, I can present photos of a gas heater made by Henry Waterman. This sturdy heater is Model #140 and is marked H. Waterman NY Notice the barbed fitting to connect to a gas line. 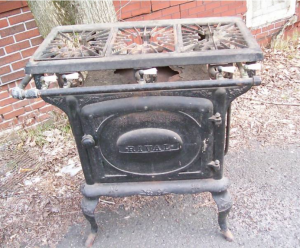 This stove appeared on ebay in March 2010. According to the seller, it is marked H. Waterman below the gas shut0ff valves. If you look closely, you can see the Waterman marking above the oven door. 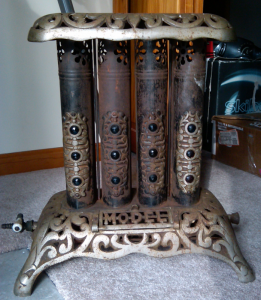 I have one of these modified with wired in lights to illuminate the jewels. very nice chrome and new wiring. Can u tell me what sort of value here? very nice conv piece. Oh, and one more thing. The flip up in the front of your foto shows the word MODEL. Mine has cast ” VICTOR” in it. Curious as to why? Was one a salesmans model? 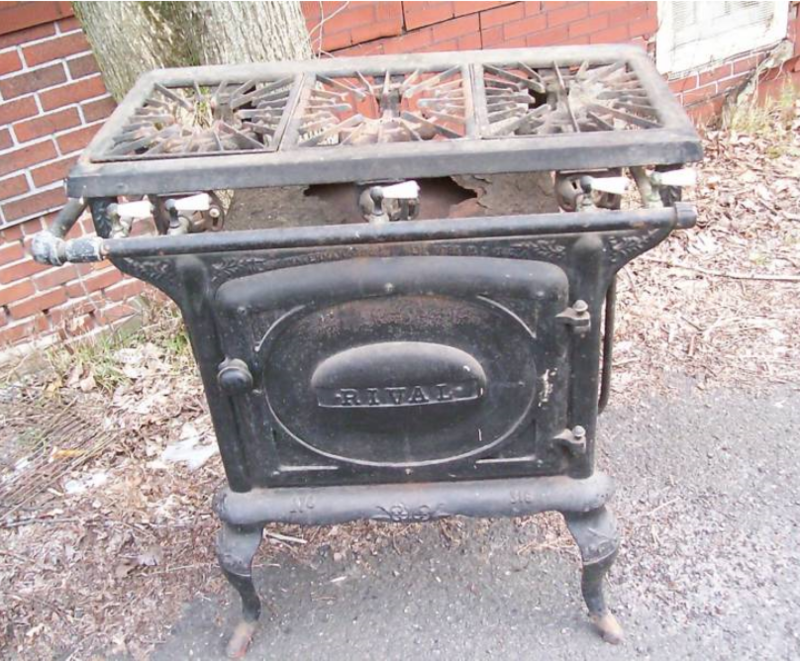 The key here is “conversation piece.” You won’t find many who would use an unvented heater, although I suspect one can still buy kerosene heaters. Would guess someone might be willing to pay $50-100, perhaps a bit more. 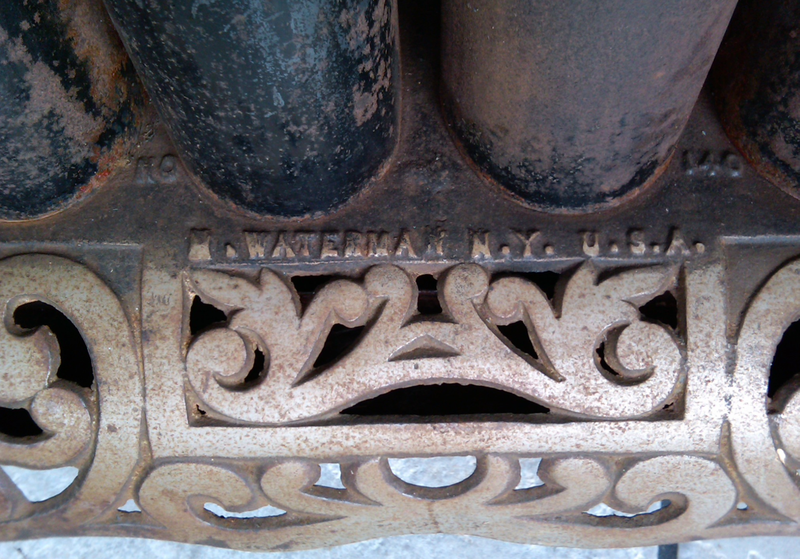 Thank you for the information on Waterman stoves. I took mine apart today to restore it, and found the Waterman mark (before that, had no idea who made it). The flip-up on mine is “Model” too. Before I read your post today, I was thinking that was a strange label (lots of time to think while I was removing rust). Mine must be a more basic model – just one ornament – with a green jewel – per cylinder.